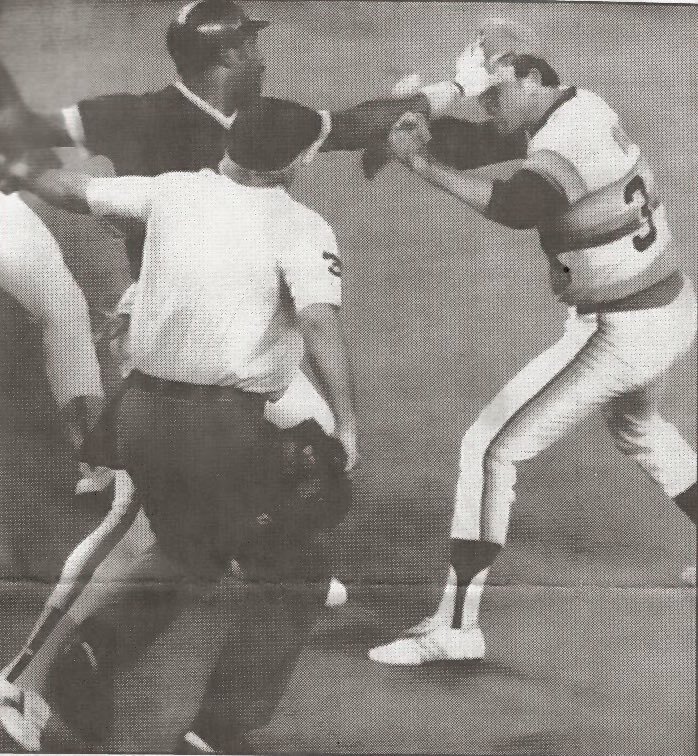 During a 1980 game against the Astros, Dave Winfield was drilled by Nolan Ryan and Winny decided to take matters into his own hands by charging the mound. According to Winfield, Ryan “had brushed him back twice in the game with inside pitches.” I guess that was more than enough for Winfield, and according to all mentions of the incident, he got the best of Ryan by connecting with the punch he’s ready to throw in the above photo. I don’t believe there were any other physical altercations between Ryan and Winfield during their careers, but I do know that in the 1985 All-Star Game, Ryan threw high and tight to Winfield, before giving up a hard hit single up the middle. Winfield later admitted to trying to hit Ryan with the ball; but has since publicly said they are now friends, due to being members of the Hall of Fame. This is such an awesome image to capture and memory to have. Since leaving the Padres, Strasburg has put out two books, “Baseball Fantography” and “Fantography – San Diego Baseball,” which I strongly suggest purchasing, as they are filled with many interesting and candid baseball-related images. 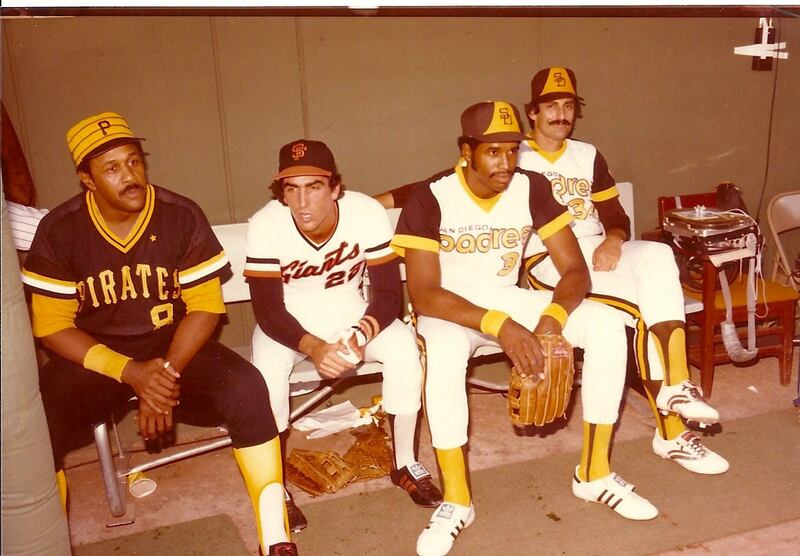 This entry was posted in San Diego Padres and tagged Baseball, baseball brawl, Dave Winfield, Houston Astros, Jack Clark, Jack Murphy Stadium, Jeff Huson, national baseball hall of fame, Nolan Ryan, Philadelphia Phillies, Rollie Fingers, San Diego Padres, Tony Gwynn, Willie Stargell by duaneharris19. Bookmark the permalink.